Students will be able to differentiate between the homophones "there," "they're," and "their." 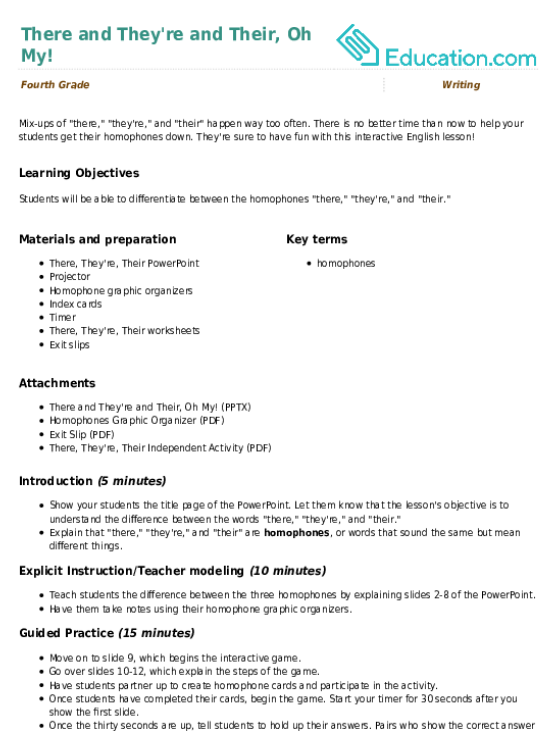 Show your students the title page of the PowerPoint. Let them know that the lesson's objective is to understand the difference between the words "there," "they're," and "their." Explain that "there," "they're," and "their" are Homophones, or words that sound the same but mean different things. Teach students the difference between the three homophones by explaining slides 2-8 of the PowerPoint. 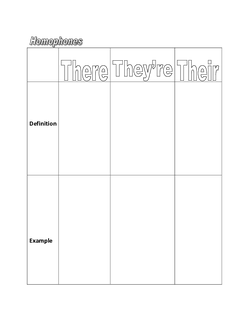 Have them take notes using their homophone graphic organizers. 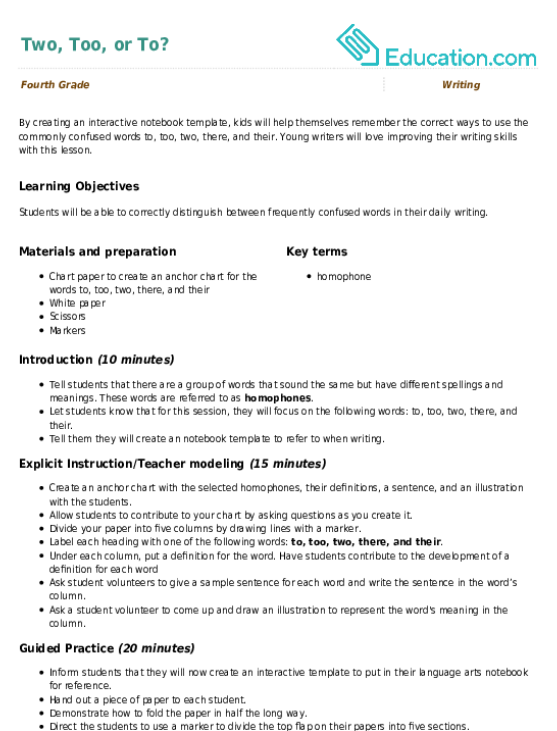 Move on to slide 9, which begins the interactive game. Go over slides 10-12, which explain the steps of the game. 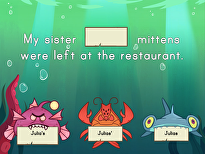 Have students partner up to create homophone cards and participate in the activity. Once students have completed their cards, begin the game. Start your timer for 30 seconds after you show the first slide. Call on a pair of students and ask them to explain how they came up with the correct answer. If their explanation makes sense, give them an extra point. Repeat this process until all six slides have been shown. The winners of the game are those with the most points. Have each student work independently to complete the There, They're, Their worksheet. Once students are done, have them switch their worksheets with one another. Enrichment:Advanced students can be given the task of writing a narrative instead of completing the There, They're, Their worksheet. In their narratives, they should correctly use all three homophones three times each. Support:Struggling students may work in pairs instead of independently on the There, They're, Their worksheet. A whiteboard can be used to project the There, They're, Their worksheet. 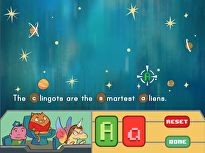 When going over the answers, students can write their responses in the blank spaces on the whiteboard. Have students complete problems 1-3 on the exit slip. Review their answers later to assess their comprehension of the lesson content. 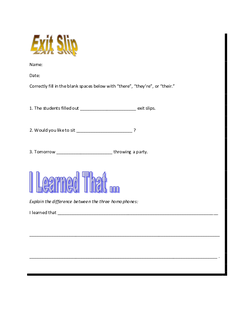 Have students complete the "I Learned That..." section of the exit slip. In doing so, they will both review homophones and reflect on the lesson. Mix-ups of "there," "they're," and "their" happen way too often. 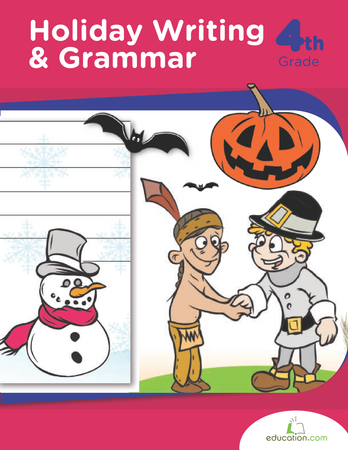 There is no better time than now to help your students get their homophones down. Uh oh! Either way you're in trouble with this scary and thrilling creative writing prompt. By creating an interactive notebook template, kids will help themselves remember the correct ways to use the commonly confused words to, too, two, there, and their. Let's Have Even More Pun! Students will be rolling with laughter as they read and write their own puns!